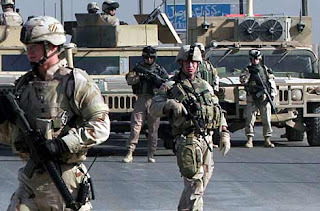 Reports of U.S. and Coalition casualties keep making the news from Iraq, but the Bush administration must have done an excellent job of keeping at least one secret: Operation Arrowhead Ripper. Or maybe there is another explanation. Anyone interested in knowing more than the mainstream media’s reports from Iraq ought to check out this site and read Yon’s reports. It will broaden your perspective.